Helps break down high fat diets like the Keto diet! Save with a combo price! B-Lean Xtreme is one of our newest supplement on Xtreme Line, designed with extensive research regarding the Keto WOE (Way of Eating). When you are doing a Ketosis WOE don’t think it’s all about “fat, fat, fat”. When doing Keto you need to limit your carbs which will start to get your body into a state of ketosis. There are a SO many “keto” diets out there, like, Standard Keto, Paleo, Atkins, Cyclic Keto, HCG, just to name a few. These are all considered Keto diets because, why you ask? Because you are putting your body in a state of ketosis! 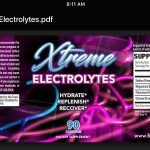 I wanted to offer not only exogenous ketones to help your body get into a state of ketosis easily and faster, but also something to help promote a healthy gut, something to make use of stored fat more easily, and something to help move fat across the membranes and not only use stored fat as energy, but excrete excess fat in body, making your body more lean and toned! That’s where B-Lean was born! 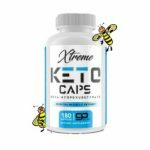 Just know that NO, you do not have to be following a keto diet to use this supplement! B-Lean supplement is really for anyone who has a hard time breaking down carbs, fat and protein. B-Lean makes food absorption easy with putting those Minerals and Vitamins you need to work! 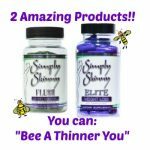 It optimizes the availability of minerals andvitamins that are consumed so that we, as humans, are able to use them efficiently, like we are supposed to! B-lean uses an ingredient called LeanGBB, a cutting edge fat loss ingredient that aids in lipid metabolism and ATP production. This ingredient amplifies cellular energy and burning body fat! 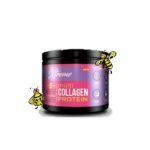 What is Xtreme Slim Bee Pollen? Decrease Your Appetite & Increase Food Satisfaction* To the Highest Level! This is our top seller for appetite suppressant!! My personal favorite. When you love to snack or tend to over get the carbs. Slim gives you that “I’m satisfied feeling in the brain to not over eat. Needing a little boost in the afternoon or just need to “get with it” in the morning? Xtreme Slim provides a steady level headed energy boost throughout the day. Each ingredient is made to piggy back off the next, keeping you alert and attentive throughout the day without preventing you from getting to sleep. Synephrine also known as “bitter orange” which is derived from the citrus plant Aurantium, paired with Caffeine & White Willow Bark create the trifecta of metabolism boosting power. This creates a binding to the adrenergic receptors to mobilize fat from adipose tissues, priming it to be burned. We did the hard research so you don’t have to. 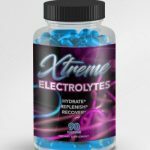 Xtreme Slim helps improve “lipid fat oxidation”, which is just a fancy way of saying when calories are burned those calories are more likely to be coming from stored fat via increased blood-flow. Caffeine and Yohimbine work together to accomplish this amazing-ness. With an all-natural lineup of researched ingredients that are derived from plants, you don’t have to worry. You can feel the warming sensation of Xtreme Slim working it’s magic but without the jitters or the unwanted crash. The key to the best fat burner starts with the ingredients. Our proprietary formula was custom developed for the average men and women who want the same thing we do, RESULTS. The key is in how these ingredients work together synergistically to help you.